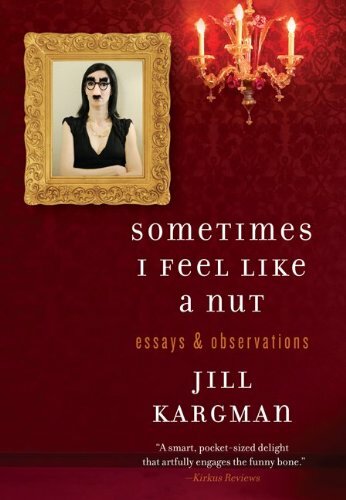 Goodreads: Jill Kargman is a mother, wife, and writer living the life in New York City . . . a life that includes camping out in a one-bedroom apartment with some unfortunate (and furry) roommates, battling the Momzillas of Manhattan, and coming to terms with her desire for gay men. In this entertaining collection of observations, Kargman offers her unique, wickedly funny perspective as she zips around Manhattan with three kids in tow. Kritters Thoughts: A snarky good humored comedy written in the form of small essays or short stories. I loved the variety of topics she covered from her childhood to raising her own children. I felt as thought I got to know her a little better and chuckled when I absolutely related to her crazy thoughts. Hoping not to offend anyone - my favorite topic she covered was her love for the gay men community. Now some of you may now, I share her great love for this community. When I lived in my former city of Charlotte, NC, I took up residence with one of my best friends, a boy, who also likes boys. Those two years were beyond fun, exciting and life changing. In short, we had a blast. Walking into a gay bar and being told numerous times how beautiful you were and because welp they thought it, was amazing. Not veering too political or off the book review, I loved this chapter, it hit really close to home. I would pass this book along to the ladies who love a little humor, but don't mind a little language thrown around. Those who are parents and those who aren't headed down that road yet (or ever), this book was a great little laugh. This one is new to me. I think it's one that I might check out of the library first to see what I think of it, but your recommendation definitely has me curious about the book. glad to hear you liked this. i just won a copy and can't wait to read it! i love gay men, so that will be fun for me. i used to enjoy hearing margaret cho's stories about her gay friends.